The US regulator approved Eucrisa (crisaborole) on the back of two trials that enrolled more than 1,500 patients with mild-to-moderate eczema which showed the ointment was more effective than placebo in achieving clear or almost clear skin after 28 days' treatment. 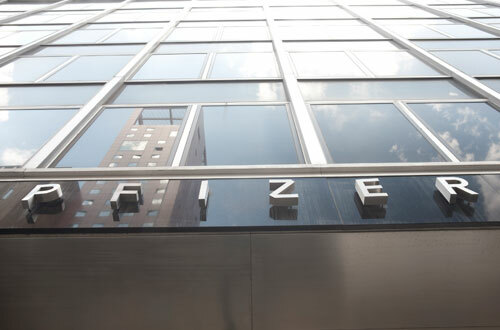 Pfizer has suggested that patient desire for an effective alternative to steroid drugs in eczema - also known as atopic dermatitis - could drive Eucrisa to sales of around $2bn-a-year. It needs the drug to perform as expected, having paid $5.2bn for the drug's originator Anacor in May. The pharma leviathan has priced Eucrisa at $580 for a 60g tube, before any discounts or rebates, and expects to launch it early in 2017. Despite the low cost of steroid drugs, their side effects - including thin skinning as well as more serious systemic effects if used too much - will encourage doctors to prescribe the new option, said analysts at Cowen & Co earlier this year, though they acknowledged that pricing pushback could have a dampening effect on take-up. The potential market size is certainly large. There are estimated to be between 18 million and 25 million people with eczema in the US, and it seems to be on the increase in children, according to Centers for Disease Control and Prevention (CDC) data. Eucrisa is a phosphodiesterase-4 inhibitor, targeting an anti-inflammatory mechanism already exploited in drugs used to treat conditions such as asthma and chronic obstructive pulmonary disease (COPD) and psoriasis. In 2014, Celgene gained FDA approval for its PDE4 inhibitor Otezla (apremilast) for psoriasis, and has completed a proof-of-concept trial in eczema. The drug met its primary objective in that study but had a mixed performance on secondary endpoints. Meanwhile, Regeneron and Sanofi are waiting for approval of their injectable drug Dupixent (dupilumab), although this is targeted at more severe forms of atopic dermatitis so will address a somewhat different patient population. Dupixent is an interleukin-4 (IL-4) and IL-13 antagonist and - like Pfizer – Regeneron and Sanofi look likely to have a clear run at building a market for the drug before rivals reach the market. Roche and AstraZeneca are also developing antibody-based eczema drugs, but their drugs - nemolizumab and tralokinumab respectively - are still in phase II testing.